One of the oldest churches in this county is Gillead, situated near Double Bridges, about two miles above Simpson. It is Presbyterian in denomination and was organized by James Alexander November 7, 1842. William Simpson, William Barnwell and Willis Simpson were the first elders; there were thirteen other charter members, the families of these men, a Mrs. Brills and perhaps other names not known. The first building was erected in 1856. David H. Birch donated the land for the church. Some laer members of this congregation were B. M. Howell, John F. and J. L. Thomas, A Mrs. Trigg, George Hudson, Charles Bailey, Mary A. Thomas, Eliza Perkins, and J. J. Simpson, now living at Creal Springs, was a member there sixty-five years ago. Lewis Simpson went out from this church as a minister. It is a live church today and a home coming held there in 1923 gave evidence of its influence. Extracted 28 Oct 2016 by Norma Hass from A History of Johnson County, Illinois, published in 1925, page 113. 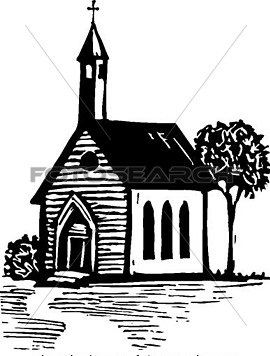 Gilead Church was Organized on Saturday 27th of Nov. 1842 by Rev. James Alexander with the following members. Note: These are in the original order they were listed in the minutes book. Later entries have no date listed as admission date. The entries appear to be in chronological order though. So, the names listed between 1851 and 1853 were probably admitted between those years. Source: Microfilm copy of Original Church minutes Book. This is a list of members of the Gilead Church in Johnson County, Illinois. This list includes members admitted from 1842 to 1853. Present W. A. Mangum moderator with elders. It appearing that common fame(?) charges Sister Fannie Mount, Sister Amanda Simpson and Sister Martha Keltner with unchristian conduct. The brothers Scott & Simpson were appointed to wait on Fannie Mount. Bros. Russell and Farmer on Amanda Simpson and Bros. Morphies? and Thomas on Martha Keltner. The Session then adjourned by prayer. Present Wm. Mangum moderator with Elders Barnwell Thomas and Farmer. The meeting was opened with prayer. The minutes of the last meeting were read. The committee appointed to wait on sister fannie Mount reported that their conversation with her was favorable to good but rumors reported to the contrary. Her case being discussed was dropped untill the closing of the session. The committee appointed to wait on sister Amanda Simpson reported. the report being rather unfavorable she was excluded untill further confession or repentance. The committee appointed to wait on Martha Keltner reported and she was excluded untill further repentance. Sister Fannie Mounts case was again noticed and W. H. Thomas and B. A. Farmer were appointed to wait on her and report at next session. Common fame charging Sister Mollie Roberts with unchristian conduct Bros. Jno Thomas and J. H.? Morphis were appointed to wait on her and report next session. The session adjourned with prayer. Note: In most early Church records many members were charged with 'Unchristian conduct'. If you find your ancestor in these records accused of that, please do not assume the worst. It might have been something as simple as hanging out the clothes to dry on the Sabbath.